When it comes to our homes, we put a lot of effort into making them look beautiful and inviting. We take great pains to decorate them just the way we want. The easiest and, of course, the most straightforward way in which you can keep your carpets feeling and looking great is to make sure that you clean them on a regular basis. The term “regular basis” can be taken to mean quite a few things so the big question is - what does that actually mean? Just how often should you be getting your carpets cleaned in order to keep them looking good and in the best possible condition for as long as possible? Much of the answer to this question will depend entirely on your personal circumstances. Plus, it’s important to note that vacuuming does not equate to cleaning! After all, vacuuming merely picks up the likes of dust and crumbs. It does not deal with the particles that have become ingrained into the material. If you take a look at your warranty for your carpet, it will likely tell you that your warranty is valid so long as you maintain your carpets. This does not mean a bit of vacuuming every week. 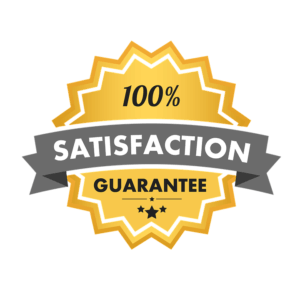 This means your carpets need to be professionally steam cleaned every 3 to 24 months in order to keep your warranty valid. Please refer to your warranty for an exact timeframe, as all manufacturers are different. There are children - Let's face it, children can be messy, accident prone, and on occasions, plain naughty. The myriad of possibilities for messing up carpets when you have children around is alarming. There are pets - this means the possibility of pet hairs, soiling from mud brought in from outside, pet food and other general soiling of the carpet, especially with young pets. There are allergies - Carpets can hold on to allergens between the fibres in the pile. Someone in the household smokes - Like most surfaces in a house, carpets will get stained by tobacco smoke. The room is subjected to a heavier footfall - the more times feet walk on a carpet, the quicker the potential for it to get dirty. If you are a household with no pets and no small children, then there is a good chance that your carpets are quite clean, and you may only need to do the vacuuming just once a week to keep on top of the dust and grime. Therefore, you will have a low soil rating. However, if you have small children, they tend to drop things on the floor and spill things that can play havoc with your carpets. You will probably find yourself needing to vacuum on a more regular basis, and you may even find yourself pulling out the hoover once a day if not more depending on what your child has been doing. 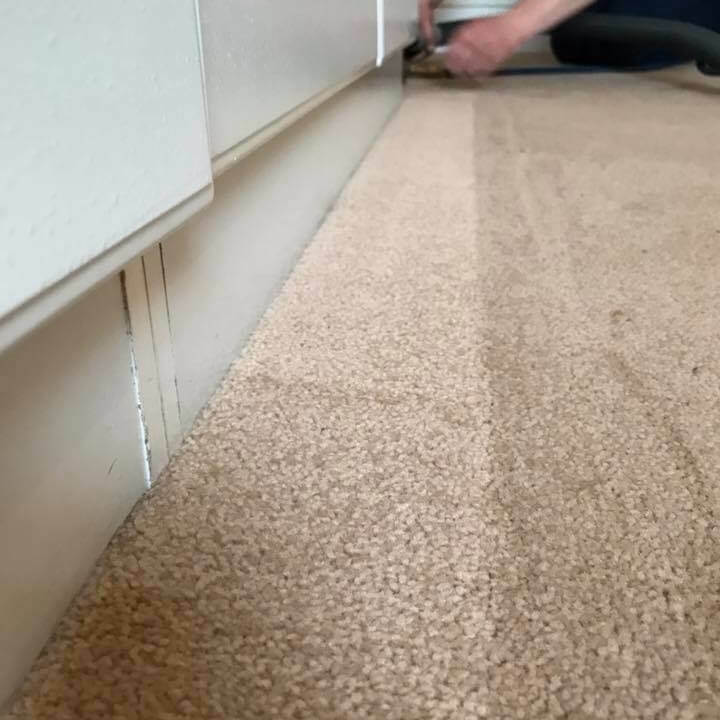 Removing crumbs as quickly as possible after they have been scattered will help to stop them being ground deeper into the pile of your carpet. The same applies if you have pets. You will probably want to vacuum every couple of days to keep on top of any pet hair build up on your carpets, and this might be more often if your pets are heavy shedders. Moreover, if you or another member of the household smokes, this can also wreck havoc with your carpets. As we already mentioned your carpet can harbour a considerable variety of particles, from dirt and dust to pet dander, food particles and anything that you might bring into your home on the sole of your shoes. If you do not remove these items on a regular basis by vacuuming your carpets, they can be driven deeper into the pile where they can cause stains, a general grubby look and even odours. They can also spread germs and bacteria so its very important to make sure that you keep on top of the vacuuming. 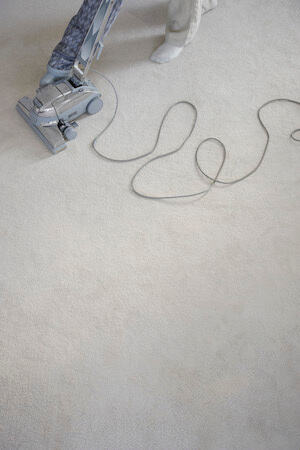 Regular vacuuming is an excellent way in which you can extend the life of your carpets. However, it’s not enough! It’s only the first part of a very important process when it comes to carpet care. Just because you vacuum your carpets every day does not mean you never need them cleaned. Over time the grime and dirt in your carpets can work deep in the fibres and degrade them, this causes damage that is irreversible. Every step that is taken on your dirty carpet can help to wear away its structure, making it age sooner than it really should. So, if you want to make sure that, what can be for many, your costly investment lasts for as long as possible clean them often. Clean carpets make your house look bright and soft and welcoming. Vacuuming your carpets regularly will really make your home feel more inviting for your guests and family. Vacuuming your carpets regularly and having them cleaned when appropriate is an excellent way to protect your investment and hopefully help prolong the lifespan of your carpet. When it comes to keeping your carpets looking their best it is important to remember to take care of any stains and spills. 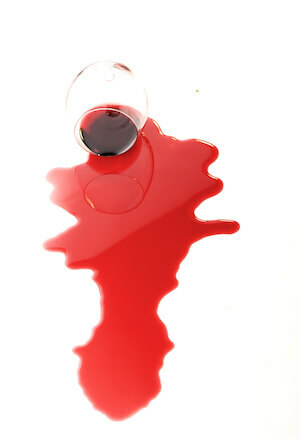 Stains should be dealt with as soon as they happen, and, if this is not possible, as soon as you can. This will reduce the risk of them developing into a permanent stain on your carpet. In order to keep any stains from spreading you can also clean the padding under your carpet, and this will help prevent the stain from spreading and perhaps causing an unpleasant odour. If you have pets or small children, then your carpets may be more prone to spills and stains, and it might be worth considering preventative measures when you purchase a new carpet. Stain resistant carpets won't completely eliminate all those stains, but they will undoubtedly help you to combat stains over the course of time, especially when combined with a regular and thorough cleaning program for your carpets. Vacuuming to keep on top of the care of your carpets is something that any homeowner should be able to deal with, all you need is a good vacuum with decent suction and the appropriate tools and a few minutes every couple of days. 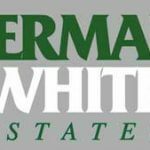 When it comes to cleaning your carpets, however, that is an entirely different matter and a time when it is essential that you get a professional company to do the job. Professional carpet cleaning machines are more powerful than domestic machines, provide better cleaning and also water extraction, which means your carpets will also dry faster. They are also more well-versed in the best solutions to use on your carpets in order to combat any stains, allergens and anything else that over time has become trapped in your carpet. They can really give your carpet the deep clean it deserves and help it look better for longer. This is something that simply cannot be achieved with domestic products and no experience. Not only does this ensure your warranty is protected but your health too. Dust allergies and mites can cause a range of respiratory problems. That’s without mentioning stress and fatigue. Professional cleaners will ensure that your carpets aren’t having a detrimental impact on your health. They will also increase the lifespan of your carpet, which can boost the value of your property too. Carpets aren’t very cheap, and really do provide warmth, colour and aesthetic appeal to your home. This is why it is so important to take care of them properly, and find a carpet cleaning company that, in conjunction with your regular cleaning plan, will ensure they look better and last longer. 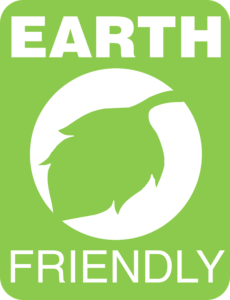 Why Choose Green Cleaning For You as your Professional Carpet Cleaning Specialists?